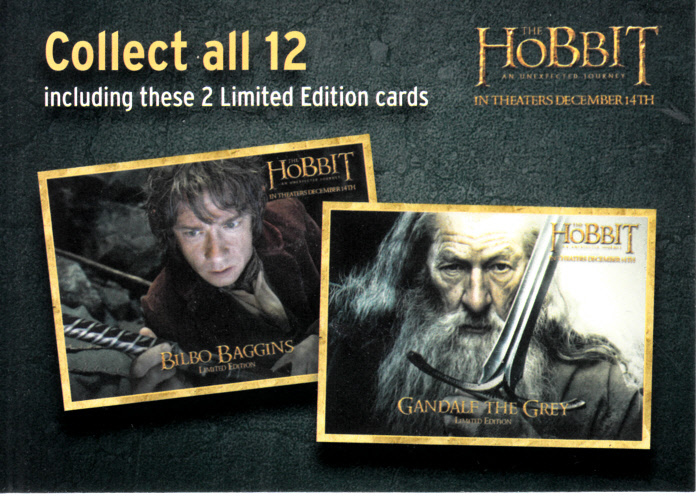 The Hobbit 2012 Denny's Collect all 12 promotional card with free pancake puppies offer on the back. About NrMt-Mt condition. ONLY ONE AVAILABLE FOR SALE.